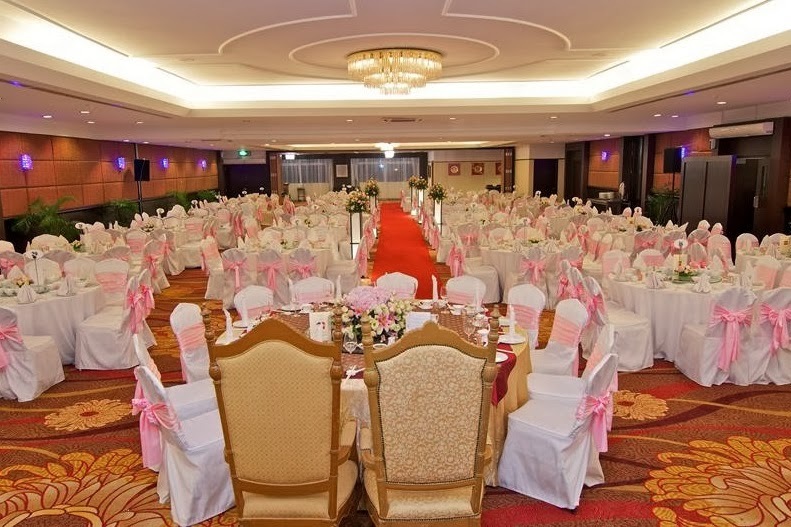 Packages 2014: from RM1388++ | Capacity: 350 pax | The spacious Grand Glenmarie Ballroom looks elegant and stunning with the lighting and decorations during the wedding reception. No pillars hence there is a good view of the stage. The ballroom has an LED screen right in the middle of the stage where it can be switched on to slide down or up as required. It is big and clear, additional projector screen is not necessary. There is plenty of space at the ballroom foyer during pre-dinner cocktail for guest to mingle around. The parking is free and there are lots of space. The wedding food is the standard hotel wedding fare. 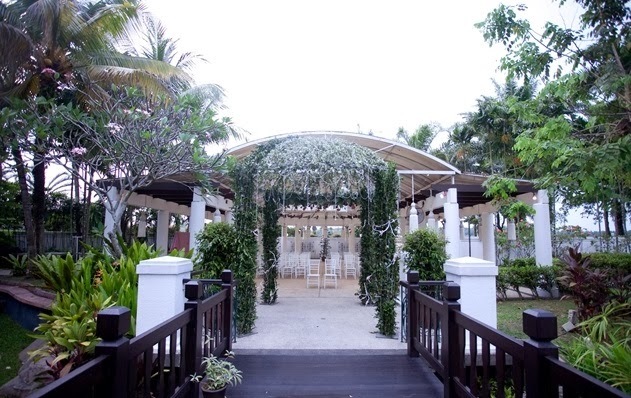 Excellent and professional service particularly from young wedding planner Natalie Pereira and Banquet Manager Mhd Nor. Some Waistaffs require more training. 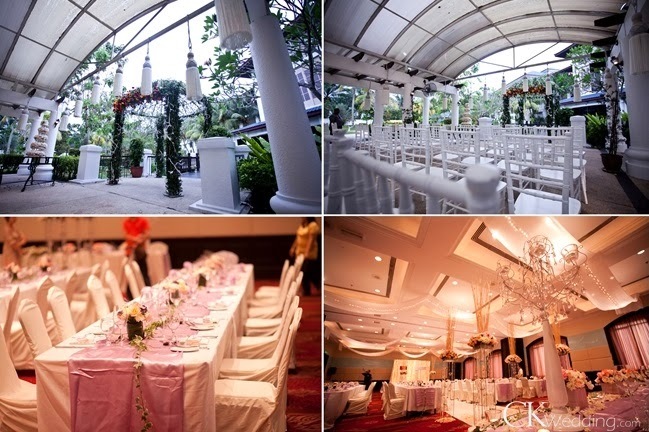 We hosted my daughter Caryn n Viks wedding at yr hotel on 15 Oct 2016. We were pleasantly impressed by yr very young planner Natalia Pereira who was very professional in her dealings with me. I was a bit apprehensive not seeing any of her senoirs but she proved herself excellent. Mhd Nor yr banquet manager was impressive also overseeing all that nite. He was a big help. 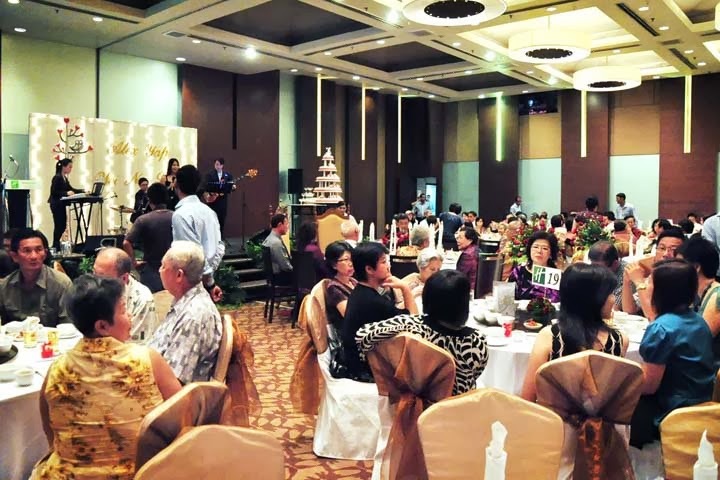 If I had any complains it wld hv to be the AV which did not reach the end of the ballroom. Would I hold a function there again..... Yes I would. Bec i will know wht to rectify. Thank you staff of holiday Inn for a pleasant stay. 1. The decorations it was not as per planned & discussed. 2. The guest signature book was changed last minute and we were not informed. 3. No bowl/paper bag was provided for keeping of red packets even though we'd asked for it. 4. 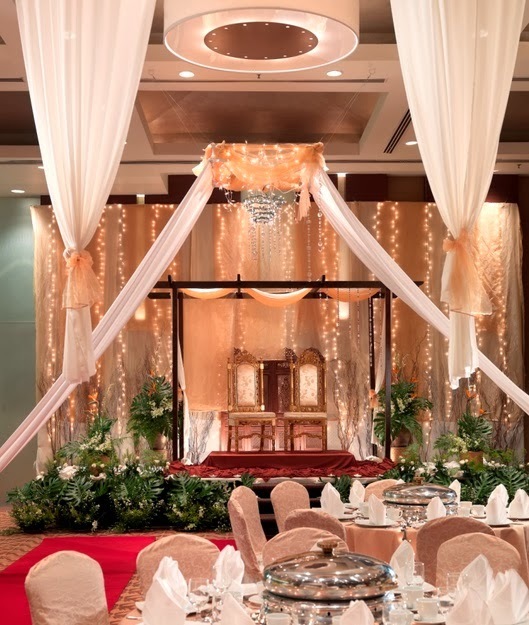 Besides that, she also did not introduce my coordinator (my sister who is in charge of the flow for the day on behalf of the bride & groom) to the floor manager for the event day even though I had communicated to her earlier plus my coordinator purposely met her 2 days earlier from the event day. Hence, this lead to the floor manager was unaware who was the coordinator during the event. He was difficult to find during the event day and hence during second march in, after the emcee announce our march in, the entrance door was not open and we had to open it ourselves as we couldn't find the floor manager at that point. 5. Other service for the event that were not good was rude waiter, bridal cake was not served to VIP table, wine was not topped up promptly. 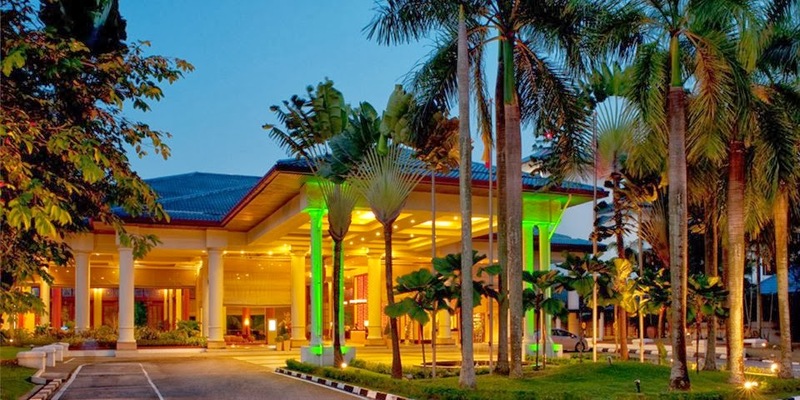 However, on the positive note the parking was free and there are lots of space, the arrangement for bridal suite and complimentary room was prepared and ready by the time we checked in. 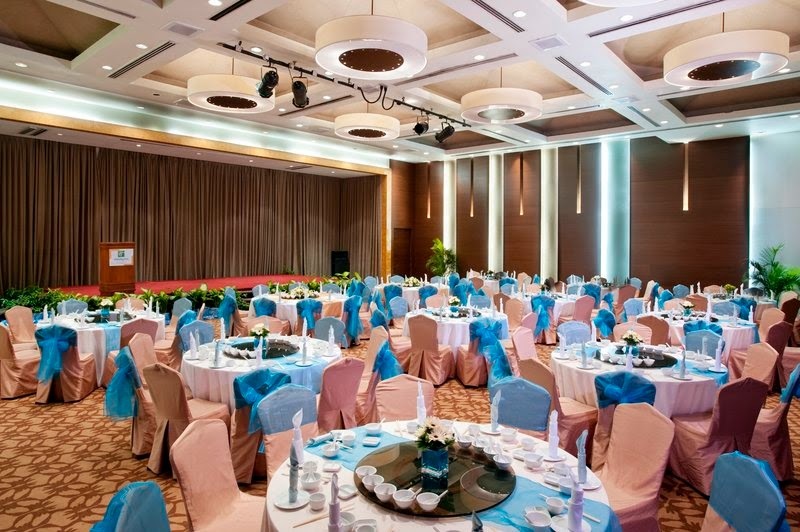 The grand ballroom was very big, spacious and looked elegant with the lighting and decorated tables during the event day. No pillars hence there is good viewing of the slideshows and videos. The hotel has an LED screen right in the middle of the stage where it can be switched on to slide down and switched to slide up when not needed. It is big and clear and not required to have additional projector screen. There was plenty of space at the ballroom foyer during pre-dinner snacks and for guest to mingle around. Not much to say about the food served as it was as per the hotel standard. The advice here is, if extra deco is required perhaps good to outsource on your own as the value of the money will worth more than getting the hotel to do so. 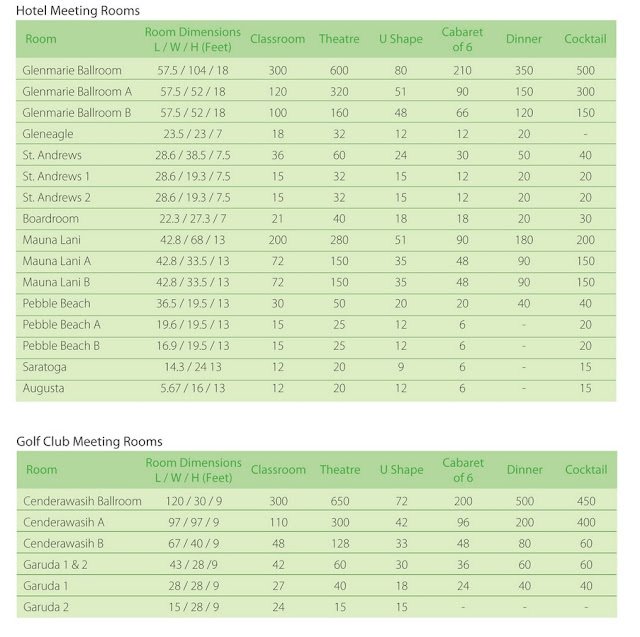 Make sure your coordinator are included in your discussion with the planner from the beginning so that if anything does not appear as discussed, you can consult immediately with the hotel. 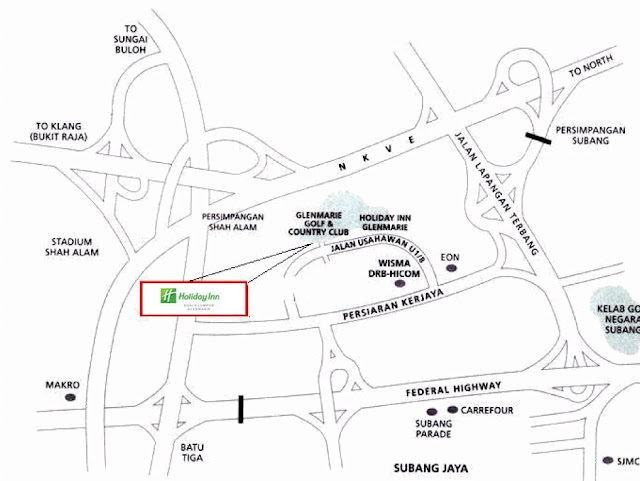 anyone here have a cartoonist map to Holiday Inn Glenmarie?